"Compelling...Harper continues the intense plotting and detail for characters and setting that she established in The Dry." "All of the novel's characters have been drawn with exceptional complexity, and none more so than Aaron Falk...So much more than a conventional detective, the reflective and compassionate Falk provides the book's moral compass." "Both novels are intense, deeply intelligent psychological thrillers that explore how our pasts – especially our childhoods – mold and disrupt our lives in the present." "Set against the fascinating backdrop of a wild, rural location in south Australia...Presents an intriguing crime that might not actually exist and potential suspects with realistically complex personalities and possible motives. The two story lines, past and present, collide with a satisfying yet not gratuitous conclusion." "The narrative is finely constructed, with perfectly measured pace and suspense. So much so that it reminded me of another master of form, Liane Moriarty...There are echoes of Picnic at Hanging Rock and Lord of the Flies as any appearance of civility slips away and the women lose direction in a hostile landscape." "Harper’s mastery of pace makes Force Of Nature one of 2017’s best thrillers." "Gripping thriller will have readers hooked." 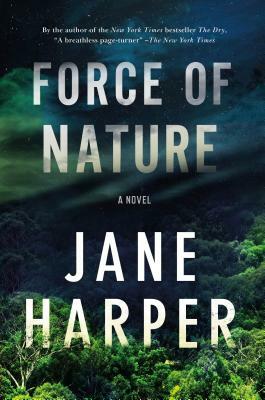 "Force of Nature proves Jane Harper, author of The Dry, is no one-hit wonder. Its premise is instantly gripping."